Move over, Uber—testing driverless cars on real streets is so 2018. The City of Ottawa has announced a new plan to test driverless car technology by setting up a test track dubbed Ottawa L5 with roughly 16 paved kilometres. 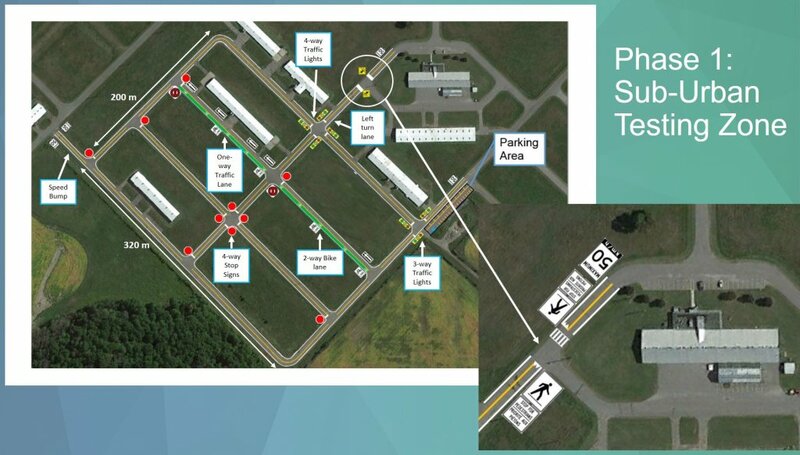 The track is located in a 1,866-acre property in Nepean and will be the first of its kind in North America to test driverless cars in this manner. The goal is for outside partners to use the area to test wireless networking technologies, sensors, car-to-car communications and even emergency crash scenarios, all while taking advantage of Ottawa’s polarized climate of harsh winters and hot summers. A grand opening is set for March, and there will be both a public and private section of the track. This facility is all made possible by a $5 million grant from the Autonomous Vehicle Innovation Network (AVIN) Program announced last May. That investment also pledged money to other companies in the space, including startups in Toronto, Waterloo, and the Durham Region. A look at the private track layout. The track will have specially-designated stretches of road to correspond to different driving conditions, along with buildings, intersections, street signs, signals, and more. There is a drone testing zone, a suburban zone, and even a section for high-speed testing. Beyond the normal sights a regular driver is accustomed to, there will be specialized technology that will communicate with a driverless car to convey any kind of scenario they may encounter. There will be a road sensor near intersections to detect ice and sleet; a wind sensor to indicate direction and speed; a sensor beside traffic lights to convey temperature, humidity and air pressure; and even a dedicated cellular network to make sure the connection is private and secure. Partners for this new test track include Blackberry QNX, Juniper Networks, Ericsson, IBM, and Nokia, with whom the Canadian government just announced a separate $40 million investment into. Part of the $40 million will go towards developing 5G technologies that will help driverless cars communicate with one another.